Defence Minister Stephen Smith says key decisions will soon be made on Australia's next generation submarine to replace the ageing Collins class boats. 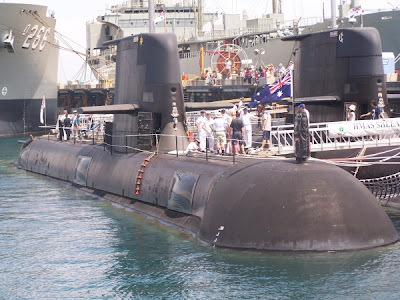 With the backdrop of the USS Michigan, a visiting nuclear-powered guided missile submarine moored at HMAS Stirling navy base in Western Australia, Mr Smith told reporters all options remained on the table, except that of nuclear propulsion. The minister said if Australia was to acquire nuclear-powered submarines all maintenance and sustainment would have to be outsourced to another country because of the lack of a local nuclear industry. Mr Smith said defence was working on the array of options for the boats which will replace the navy's six Collins class vessels, provisionally set to retire around 2025. "We are not too far away from making an announcement about the first stage of what will be the single largest capital works program the Commonwealth of Australia has ever engaged in," Mr Smith told reporters. "That is why we have been proceeding very sensibly, very methodically and very diligently before we start the design and construction stage of the program." The 2009 Defence White Paper calls for 12 new advanced submarines to provide Australia with a formidable defensive and offensive capability. These vessels would be built in South Australia. Defence has moved to test the current submarine market, inviting three European builders to submit details of their latest designs. There are four options - buying an existing design, an existing design with some Australia-specific systems, an existing design with modifications to meet Australian requirements and an all-new design. Mr Smith said interoperability with the US was an important factor for the new submarines. "It doesn't make sense for us to have a submarine fleet that is not interoperable with the US fleet so far as communications and weapons systems are concerned," he said. But that doesn't mean Australia would aim to buy US submarines. "The US only has nuclear submarines so that option is not open to us," he said. Mr Smith said he'd had talks at the highest level about the need for Australia and the US to cooperate on Australia's new submarine fleet. "And that's occurring. There is support at the highest level and support at officer level and the US has indicated any assistance they can give so far as design is concerned, they will do that readily," he said. BOJONEGARA, BCO – Bangsa Indonesia sudah mampu membuat kapal untuk kebutuhan berperang. Dan siapa menyangka kalau ternyata kapal perang yang dipesan Kementerian Pertahanan (Kemenhan) RI ini dibuat di wilayah Provinsi Banten, tepatnya di wilayah Desa Margagiri, Kecamatan Bojonegara, Kabupaten Serang. 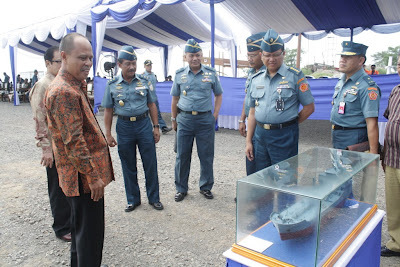 Ini diketahui setelah, Kamis (26/4/12) pagi tadi, Asisten Logistik (Aslog) Kasal Laksamana Muda TNI Sru Handayanto, meresmikan pembuatan kapal perang jenis tangker pertama oleh PT Anugrah Buana Marine (ABM) Bojonegara. Aslog Kasal Laksamana Muda TNI Sru Handayanto mengatakan, kepada Berita Cilegon Online (BCO) bahwa untuk membuat kapal tersebut dibutuhkan waktu selama 18 bulan (1,5 tahun), dengan kebutuhan dana lebih dari 160 miliar. “Sebelumnya kemenhan juga telah berhasil membuat kapal perang di beberapa wilayah, di antaranya di Batam, Suarabaya dan Jakarta. 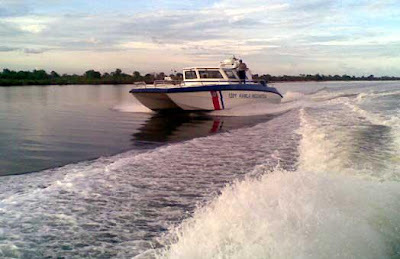 Kalau proyek pembuatan kapal (perang tangker-red) BCM ini berhasil, kita akan buat kapal perang di Banten, terlebih di sini (Banten-red) juga banyak bahan bakunya," ujar Sru. Dikatakan bahwa pembuatan kapal dilakukan di wilayah Indonesia merupakan bagian dari upaya untuk pemberdayaan sember daya manusia (SDM) lokal dalam menciptakan perangkat perang TNI. “SDM lokal sebenarnya sudah mampu menciptkan kapal-kapal perang. Akan tetapi belum dimanfaatkan secara maksimal. Mulai dari sekarang kita manfaatkan SDM itu untuk membuat produk berkualitas di negeri sendiri," Sru menuturkan. Dalam kesempatan yang sama, saat mendampingi Aslog Kasal Laksamana Muda TNI, Danlanal Banten Kolonel Laut (p) Agus Priyatna mengatakan, TNI AL memang saat ini sangat membutuhkan kapal BCM. Sebab, saat ini TNI AL di bagian barat hanya memiliki satu kapal BCM yang kondisinya sudah tua dan perlu diganti. “Kapal BCM ini nantinya disiapkan untuk membantu kapal perang yang kehabisan bahan bakar di tengah laut,” ujar Agus seraya berhatap proyek pembuatan kapal itu sukses sehingga kapal perang terus bisa dibuat di wilayah Banten. BEIJING : Thailand and China have agreed to jointly develop multiple rocket launchers with a guidance system as part of a move to strengthen military ties. The two sides reached the agreement during a visit to China by the Thai military top brass in what was described by Defence Minister Sukumpol Suwanatat as a call by "the whole family" to China which is "our close relative". It is the first time in 15 years that a defence minister has led all key military leaders ranging from the defence permanent secretary, supreme commander and armed forces chiefs to meet Chinese senior military officers, led by National Defence Minister Gen Liang Guanglie. 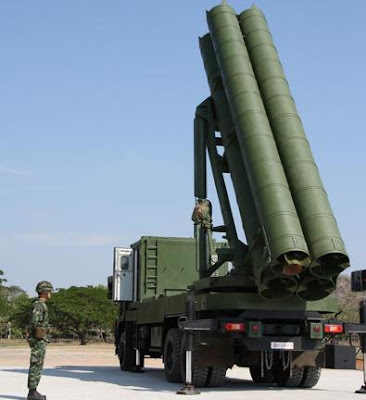 Under the new agreement, the Thai Defence Technology Institute will work with China to develop new multiple rocket launchers called "DTI-1G [Guided]" which will be more accurate and have a greater range than existing systems, said ACM Sukumpol after the meeting. Multiple rocket launchers are known for their devastating capabilities and ability to deliver a large amount of ordinance simultaneously, but are not recognised for precision because they are not usually equipped with a guidance system. In an earlier joint deal, Thailand and China developed the DTI-1 system, which had a range of between 60 and 180km, but it lacked accuracy. The new DTI-1G project will last three years and will be funded under a 1.5-billion-baht budget, ACM Sukumpol said. Gen Liang also told the delegation that if Thailand wants to buy weapons from China, it will be willing to sell them at "friendly prices", ACM Sukumpol quoted Gen Liang as saying. "The price of Chinese weaponry has increased greatly recently. Arms are not as cheap as before so we will have to consider this carefully," ACM Sukumpol said. As well as technological cooperation, the Thai and Chinese defence ministries have also agreed to hold a joint military exercise involving their air forces for the first time. "We will need to discuss more details of this because Thailand and China have different military doctrines in the aviation area," ACM Sukumpol said. So far the two countries have held joint military drills involving the army's special warfare units and the navy's marine corps. 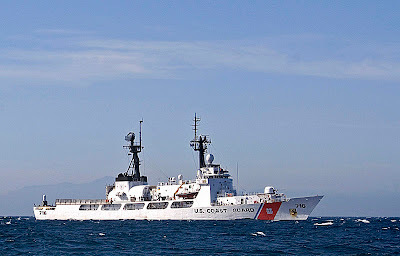 MANILA — Department of National Defense (DND) Spokesperson Peter Paul Galvez said on Thursday the country's newest Hamilton-class cutter, which is expected to arrive before the end of the second quarter, is more capable than its predecessor, the former "USS Hamilton" which is now commissioned and in service as the Philippine Navy's "BRP Gregorio Del Pilar." "The newest Hamilton-class cutter to enter is the 'USS Dallas.' It would be more capable than its predecessor," Galvez said during the "Talking Points" program over DZRB Radyo ng Bayan at the Philippine Information Agency (PIA) Bldg. in Quezon City. The DND spokesperson declined to comment on how capable the new ship would be, but he stressed that it would be good for the naval service in general. 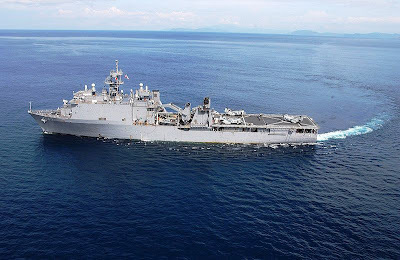 Sources said that "USS Dallas" could be coming in the Philippines with all her equipment and armaments, unlike the "BRP Gregorio Del Pilar" which arrived in the country minus her Phalanx close-in weapon systems, 25mm Bushmaster cannons, and sonar systems. Senayan - Komisi I DPR RI sepakat untuk mendukung rencana TNI AD membeli tank Leopard produksi Jerman. Sebelumnya banyak anggota Komisi Pertahanan yang menolak rencana pembelian tank bekas pakai Belanda ini. Mereka menolak karena perangkat perang ini tak sesuai dengan kondisi geografi Indonesia dan alih teknologinya sulit direalisasikan oleh produsen. Komisi I akan mengiyakan secara resmi rencana TNI AD ini dengan catatan, sepanjang tidak ada upaya politisasi dari pihak mana pun. Selain itu, pembelian tank tersebut harus dilakukan langsung ke produsen di Jerman. "Dengan demikian, memungkinkan adanya alih teknologi dan kerja sama pemeliharaan antara produsen dan PT Pindad," ujar Ketua Komisi I DPR RI Mahfudz Siddiq kepada Jurnalparlemen.com, Jumat (27/4). Menurut Mahfudz, pembelian langsung ke produsen tank Leopard di Jerman akan memungkinkan modifikasi sesuai kebutuhan Indonesia dan lebih efisien harganya. 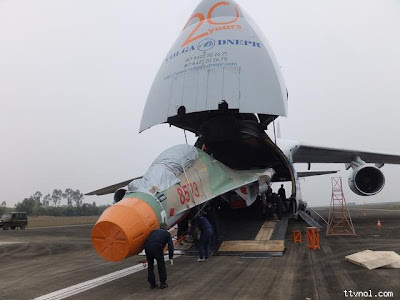 Vietnam has sent expert team to Russia's Air Force to receive three multi-purpose fighter Su-30MK2. Written in Militarynews.ru, source close to the Russian defense industry on 26/4, said Russia is preparing to transfer to Vietnam 3 more Su-30MK2 in half earlier May 2012. According to sources, coalition aircraft production at the Komsomolsk-on-Amur, aircraft manufacturing subsidiary of the Sukhoi company has welcomed Air Force member delegation from Vietnam to the procedures for receiving the modern fighter. "Within 2 - 3 weeks, both sides will sign the minutes of the transfer and reception in the second half of the beginning of the month 5/2012 of delivery of fighter aircraft orders" - Russian airlines industry sources told Militarynews. According to this source, initially they (Sukhoi company) plans to provide Vietnam 4 aircraft, but one of which crashed in flight testing on 28/2. Sydney based aerospace & defence technology group Thomas Electronics of Australia has successfully completed the prototype turret assembly for the Australian Light Armoured Vehicle (ASLAV) Crew Procedural Trainer (CPT) simulator project. Thomas Electronics is acting as the major sub-contractor to Thales Australia on the project, which involves production of 9 ASLAV CPTs for use by the Australian Army. William Hutchinson, Thomas Electronics’ CEO said that reaching this milestone was a major achievement for the project team. “We are delighted to have successfully delivered the prototype turret assembly, on time and budget,” he said. “Achievement of this milestone is a critical step for the project, significantly mitigating project risk. “I am extremely pleased with how the project is progressing, and am particularly impressed with the high level of cooperation between the project’s supply chain partners. The ASLAV CPTs provide a realistic training environment for ASLAV crews, and reduce the requirement to train with live ammunition in actual vehicles. Completion of the prototype turret assembly is a major milestone for the ASLAV CPT project, as the turret assembly represents the most complex and intricate component of the CPT. ASLAV CPT deliveries commence in early 2013 and will conclude in the second half of the same year. There are currently over 250 ASLAVs in service with the Australian Defence Force. The contract involve upgrading the aircraft carrier with the latest generation of command and control system, 9LV Mk4. Saab will also supply data-link equipment to the ship, which will allow communication between the ship and the Royal Thai Air Force’s Gripen fighter aircraft and the airborne radar system Erieye, carried by the Saab 340 AEW. 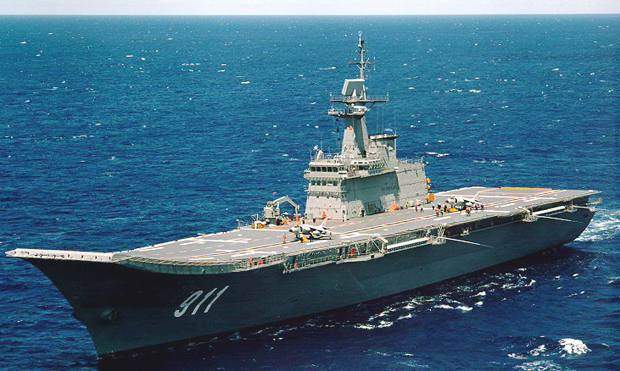 “Saab will further strengthen its position as supplier to the Royal Thai Navy through the upgrade of the command and control system on the Navy's flagship. Saab is now on the Navy's three major vessels and with links to the Royal Thai Air Force's Gripen and Erieye, capabilities and resources can used more efficiently,” says Gunilla Fransson, Head of Saab’s Business Area Security and Defence Solutions. Saab is the main contractor to the Royal Thai Navy, and as well as supply of its own systems, its tasks will include procurement of third-party systems and responsibility for integration of all existing and new systems. “This is the second 9LV Mk4 contract signed between the Royal Thai Navy and Saab. It further strengthens Saab's position in the country, which we are proud of,” says Gunilla Fransson. The contract mainly concerns the Security and Defence Solutions business area as the supplier of the command and control system. The Electronic Defence Systems business area will supply the Sea Giraffe AMB surveillance radar system as well as data-link equipment for communication with Gripen and the Erieye airborne early warning systems. 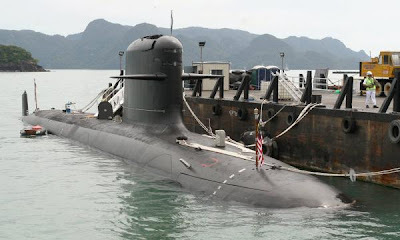 Kuala Lumpur: Aside from maintaining two Scorpene submarines, the Royal Malaysian Navy (RMN) plans to buy more submarines to boost the national's naval defence capability, said Navy chief Admiral Tan Sri Abdul Aziz Jaafar. He said, however, the plan could not be implemented in the near term due to budget constraints while time was needed to train naval officers on the fundamental skills in submarine operations and gained the experience. "The skills and experience are needed to ensure that the submarines can be operated safely and effectively," he told Bernama. The navy took delivery of two Scorpene submarines costing RM3.4 billion from France in 2009 and 2010. 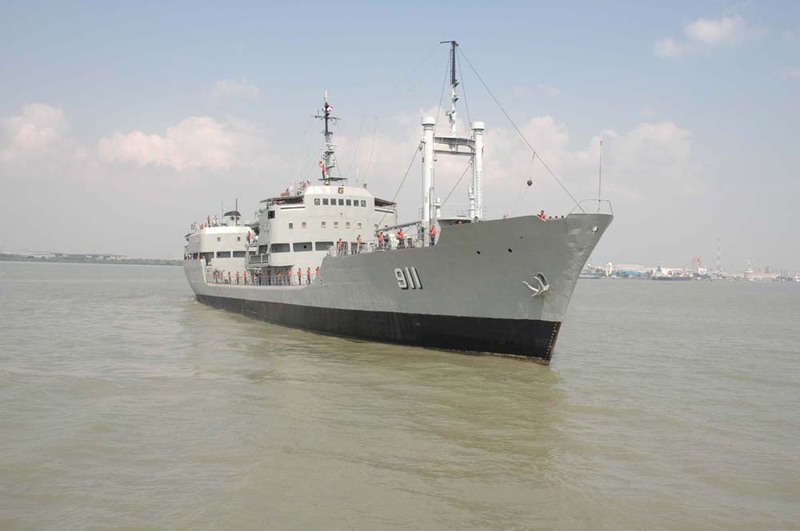 Abdul Aziz said he was satisfied with the performance of both submarines after three years in operation to protect national waters from invasion and encroachment. "I am proud to have received letters of commendation from distinguished guests, who have taken a dive on the submarines, including the Sultan of Terengganu Sultan Mizan Zainal Abidin, the Sultan of Selangor Sultan Sharafuddin Idris Shah and Penang Chief Minister Lim Guan Eng," said Abdul Aziz. On the 78th Royal Malaysian Navy Day celebration tomorrow, he said the theme 'Innovative Personnel engender Transformation' manifested the navy vision to be a world-class entity through a culture of innovation. Describing the challenges faced by the navy as "software and hardware", he said: "The first challenge is to retain skilled personnel in the service due to competition, and attractive and lucrative offers awaiting them in the corporate world. "The second challenge is to maintain the level of preparedness of naval assets, especially involving aging assets as they are getting obsolete, and technological development." On piracy threats especially in the Straits of Melaka, he said naval boats were intensifying patrols in identified hot spots besides conducting integrated operations jointly with maritime agencies from neighbouring countries. SINGAPORE: Australian Prime Minister Julia Gillard indicated on Monday that the Republic of Singapore Air Force (RSAF) would be allowed continued access to training facilities in Oakey, Queensland. She was speaking in Singapore where she is on her first official visit as prime minister. Earlier in the day, she was given a ceremonial welcome at the Istana. Also present was Singapore's Prime Minister Lee Hsien Loong. After the ceremony, Ms Gillard met Singapore's Acting President J Y Pillay at the Istana. At an official dinner hosted in her honour, Ms Gillard said that Singapore was a "partner and friend with a capacity to bring pragmatic and far-sighted thinking to regional and global challenges". "We share defence and strategic interests, underpinned by a commitment to multi-lateralism and regional cooperation," she added. "Of course, we value our economic links and seek to learn from your example of adaptation and innovation as Australia remakes its economy for the demands of the 'Asian Century'." Prime Minister Lee, who was in attendance at the dinner, said "Singapore and Australia enjoy a close and long-standing relationship". "Australia was one of the first countries to recognise Singapore's independence in 1965. For that we will always be grateful," Mr Lee said. "Since then, our relationship has remained close, underpinned by our shared strategic perspectives and wide-ranging cooperation." Mr Lee added that defence cooperation is also key to the two countries' relationship. 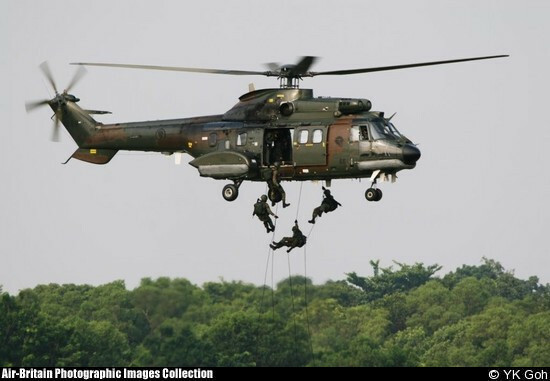 The Singapore Armed Forces (SAF) has been warmly received during training exercises in Rockhampton, Oakey, Pearce and Tamworth in Australia, and had helped in disaster relief efforts during the floods in Queensland last year, he said. Mr Lee added that Singapore would support Australia's bid for a seat on the UN Security Council in the year 2013-2014. He also said Singapore shares a commitment with Australia on trade liberalisation, adding that Singapore is the fifth largest investor in Australia, and thanks to the Singapore-Australia Free Trade Agreement (SAFTA), economic ties are growing. Australian investments in Singapore more than doubled between 2005 and 2010, with the number of Australians doing business in Singapore growing about 10 per cent a year. Singa­pore gets close to a million Australian tourists annually, while Australia receives more than 300,000 visitors from Singapore each year. There are more than 20,000 Australians living and working in Singapore and around 50,000 Singaporeans in Australia, including 10,000 students. Ms Gillard said she hopes to find more ways for the two countries to work together when Mr Lee visits Australia this October. Earlier in the day, Ms Gillard presented Singaporean businessman Ow Chio Kiat, with the award of "Honorary Officer in the General Division of the Order of Australia". Mr Ow, who is the executive chairman of Stamford Land Corporation, received the award for his service to the development of commercial relations and identifying business opportunities between Australia and Singapore. Ms Gillard also had an orchid hybrid named after her at the National Orchid Garden. The Dendrobium Julia Gillard bears dark purple flowers which measure up to 7 centimetres across. Bakorkamla Gandeng Kobangdikal Matangkan Pembentukan "DRCL"
Surabaya - Badan Koordinasi Keamanan Laut mematangkan rencana pembentukan Detasemen Reaksi Cepat Laut (DRCL) yang akan menjadi unit andalan untuk mengatasi berbagai tindak pidana di wilayah perairan Indonesia. Sebagai tindak lanjut dari rencana itu, Kepala Pelaksana Harian Bakorkamla Laksamana Madya TNI Didik Heru Purnomo menemui Komandan Komando Pengembangan dan Pendidikan Angkatan Laut (Kobangdikal) Laksda TNI Sadiman di Bumimoro, Surabaya, Rabu. "Selain bersilaturahmi, pertemuan ini juga untuk menindaklanjuti tim Bakorkamla yang lebih dulu berkunjung pada 11 April lalu, guna mematangkan rencana merealisasikan Detasemen Reaksi Cepat Laut," katanya. Menurut ia, DRCL bisa menjadi unit andalan dalam upaya mengatasi berbagai tindak pidana yang selama ini sering terjadi di wilayah perairan Indonesia. Namun, tugas, fungsi dan kewenangan unit ini tunduk pada undang-undang dan peraturan lainnya yang berlaku, serta tetap bekerja sama dengan instansi lain yang memiliki tugas dan kewenangan sama. "Instansi lain itu seperti TNI AL, kepolisian, Bea dan Cukai, imigrasi, Departemen Kelautan dan Perikanan. Bahkan, anggota detasemen nantinya diambil dari instansi-instansi yang tergabung dalam Bakorkamla itu," ujar mantan Kasum TNI itu. Terkait peran Kobangdikal, Laksdya Didik Heru menambahkan lembaga pendidikan ini bisa menyiapkan sumber daya manusia untuk personel DRCL, yang posturnya nanti tidak jauh berbeda dengan prajurit TNI AL. Komandan Kobangdikal Laksda TNI Sadiman menyambut baik pembentukan DRCL dan lembaganya siap bekerja sama merealisasikan rencana tersebut. "Pada dasarnya kami siap untuk membantu, terutama dalam penyiapan personel yang akan dididik untuk menjadi anggota DRCL, tetapi tentu setelah ada perintah lebih lanjut dari pimpinan TNI AL untuk," katanya. Hari ini JDW dan Tsamto memberitakan bahwa Angkatan Laut Malaysia berminat untuk mengakuisisi dua jenis kapal perang US yang akan memasuki masa pensiun pada tahun 2013. 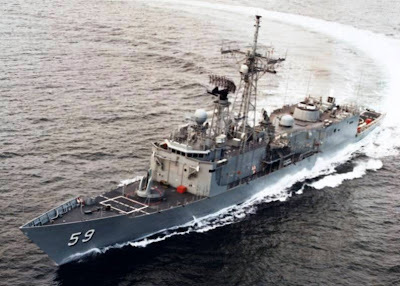 Kedua jenis kapal perang tersebut adalah fregat (FFG) dari kelas Oliver Hazard Perry dan kapal amfibi (LSD) dari kelas Whidbey Island. Kemungkinan frigat yang akan diakuisisi berjumlah dua buah sedangkan kapal amfibi berjumlah satu buah. Kelas Oliver Hazard Perry class merupakan fregat dengan berat 4.100 ton dengan panjang 136 m. Angkatan Laut Australia juga mengoperasikan fregat kelas ini sebanyak 4 buah (dinamai lokal sebagai Adelaide class) yang beberapa kali diupgrade kemampuannya, dan akan digantikan oleh kapal perusak kelas Hobart. Whidbey Island class merupakan kapal landing ship dock dengan berat 16.100 ton dengan panjang 186m. Rencananya kapal LSD ini akan menggantikan LST KD Sri Inderapura yang telah mengalami kebakaran hebat dan akhirnya dipensiunkan. New Delhi — Vehicles major Tata Motors announced Monday that it has signed a cooperation agreement with a Malaysian firm to develop, promote and market the Indian company's high mobility military trucks for the Malaysian armed forces. "Tata Motors and DRB-HICOM Defence Technologies Sdn Bhd (Deftech), a wholly-owned subsidiary of DRB-HICOM Berhad, Malaysia, have signed a cooperation agreement to enable both Deftech and Tata Motors to develop, promote and market Tata Motors high mobility 4x4 trucks with payloads ranging from 2.5 tonnes to 5.0 tonnes for the armed forces of Malaysia," a Tata release said here. In the initial stage, DEFTECH will be working on two of Tata Motors proven models -- LPTA 715 and LPTA 1623. "These vehicles are suitable in various configurations including troop carriers, command post, ambulance, reconnaissance missions, as an armoured carrier communication shelter and others," the release said. 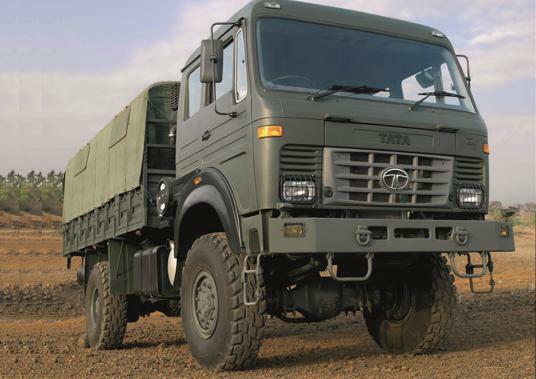 Tata Motors has been associated with the country's off-road defence and security forces since 1958 and has supplied over one lakh vehicles to the Indian military and paramilitary forces so far. The company offers its products and services that not only meet the needs of the domestic market, but are also positioned to meet most stringent requirements across the world. Tata Motors exports its range of specialised defence vehicles to the South Asian, South East Asian and African regions. Tata Motors also has multi-axle range such as 12x12, 8x8 and 6x6 trucks that it has started supplying to leading missile original equipment manufacturers across the world, the firm said. The company is also a supplier of specialist vehicles for UN peacekeeping missions. Raytheon Australia today announced that it has submitted its tender for the Air 9000 Phase 7 Helicopter Aircrew Training System (HATS) competition. 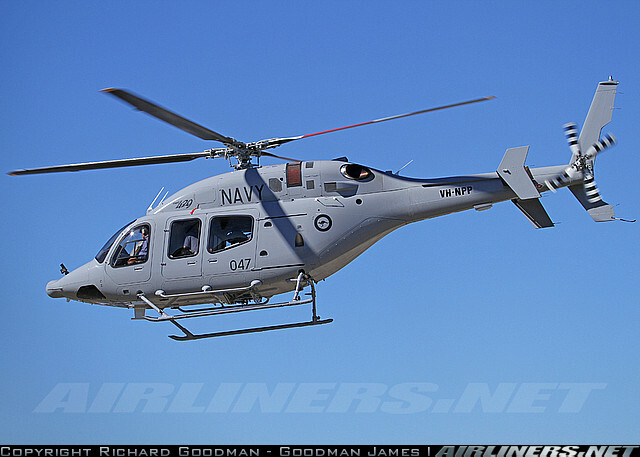 The Managing Director of Raytheon Australia, Mr Michael Ward, said that the company’s team that included Bell Helicopter, Milskil, Nova Systems and Virtual Simulation Systems was pleased to present the Commonwealth with an offer to deliver and operate the HATS program as a trusted partner in rotary wing flying training. Mr Ward emphasised that this was a critical program for the ADF with the selection of a successful tenderer setting up an industry relationship that was likely to endure for a generation. He said that supporting the ADF in this way was an important responsibility that demanded the most compelling flight training solution, offered by a proven and trusted Australian industry team. The Raytheon team solution includes platforms, simulators and training devices as well as courseware certified and maintained to exacting Defence standards. “Our proposal outlines a mature, deliverable and sustainable training solution which maps precisely to the Commonwealth’s training requirements. Providing a strong growth path with the necessary flexibility for future training, we also offer the strongest commitment to safety and a solution which is designed for support through the best possible sustainment solution,” Mr Ward said. Raytheon Australia’s mission ready solution is centred around the Bell 429, the most modern and cost effective light twin helicopter on the market today offering a substantial capability enhancement for rotary wing flying training and light utility support. In addition to being the only light twin helicopter fully certified to the latest crashworthiness standards, the large cockpit of the Bell 429 is capable of handling the full range of pilot candidates with the most spacious and useful rear cabin in its class. Mr Ward also pointed to Raytheon’s strong pedigree in providing and supporting Australian helicopter programs such as the RAN’s Retention and Motivation Initiative as well as providing maintenance and engineering support under its Squirrel in service support contract. This is added to the company’s extensive training pedigree that included Hornet and Super Hornet training systems, and its Electronic Warfare Training System. This is complemented by an enduring commitment to the Shoalhaven region through existing skills, facilities and industry networks with a sustainable vendor base that gives appropriate focus to the value of developing the regional economy. Mr Ward emphasised his was a proven team of trusted partners to enable the ADF’s future aviators. He said the Raytheon team offered a safe, certified and off-the-shelf solution to match training requirements and produce mission ready helicopter aircrew. One of the Su-30MK2 aircraft that had been delivered by Russia to the Vietnam Air Force has a new color scheme. The color not blue-dark blue as before, but the Su-30MK2 with number 8573 has green-brown color. Vietnam has received the Russian-made Su-27 and Su-30 aircrafts. Based on 1995 contracts Vietnam has ordered seven Su-27SK (6001, 6002, 6003, 6004, 6005, 6006, 6007), and based on 1997 contracts Vietnam has ordered five Su-27UBK (8521, 8523, 8525, 8526, 8527), the contract was fulfilled. Russia also has fulfilled the contract for orders in 2003 of four Su-30MK2 (8531, 8532, 8533, 8534), also for the order of eight Su-30MK2 in 2009 (8535, 8536, 8537, 8538, 8539, 8540, 8541, 8542). In 2010, Vietnam has ordered 12 Su-30MK2, four Su-30MK2 (8544, 8548, 8551, 8555) were delivered in June 2011 and four Su-30MK2 (8573, 8577, 858X, 858X) were delivered in december 2011. 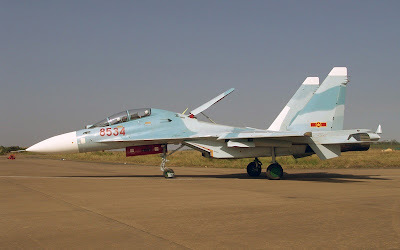 Vietnam will receive another four Su-30MK2 in 2012, but one aircraft crash while testing in february 2012. BALTIMORE, Md. -- Northrop Grumman Corporation (NYSE:NOC) executed a Memorandum of Understanding at the Sixth National Radar Seminar in Bali, Indonesia with PT Industri Telekomunikasi Indonesia and the Research Centre For Electronics And Telecommunications of The Indonesian Institute Of Sciences to facilitate collaboration on pending ground-based radar opportunities in Indonesia. 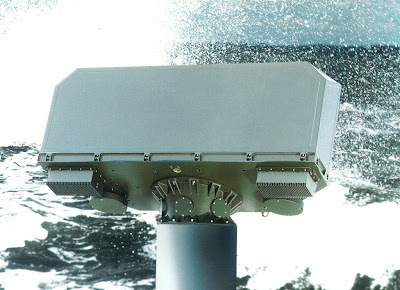 The Northrop Grumman AN/TPS-78 is the latest generation of state-of-the-art radars made possible by advances in high power transistor technology and designed to operate in some of the harshest, most unforgiving environments. Proven in the field, the S-Band long-range AN/TPS-78 is the choice of the U.S. Air Force and customers worldwide. "With this agreement, Northrop Grumman will bring its recognized leadership in ground radars together with our Indonesian business partners' combined expertise in electronics research and manufacturing and knowledge of the unique needs of the Indonesian government," said Robert Royer, vice president of international systems at Northrop Grumman's Land and Self Protection Systems Division. "Our team looks forward to participating in the upcoming Indonesian ground-based radar competition designed to help Indonesia increase air surveillance control and secure its border."